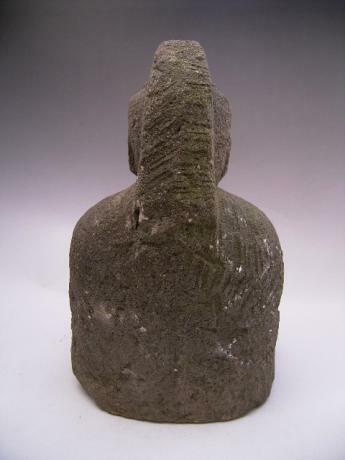 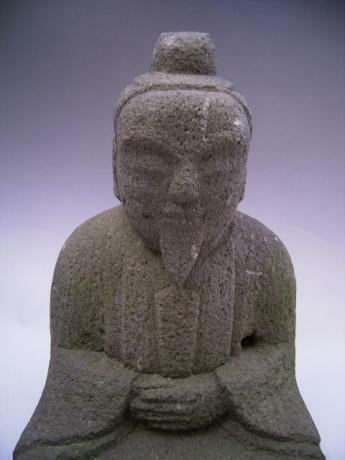 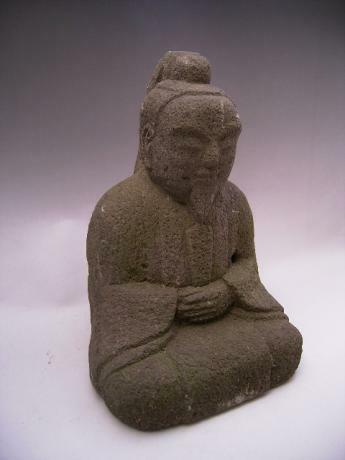 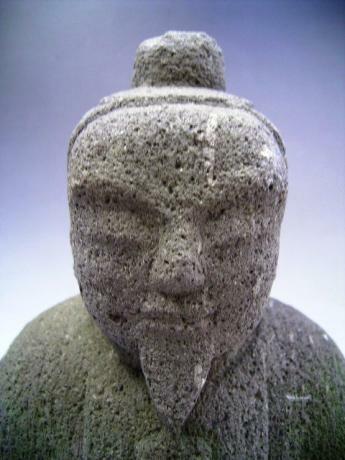 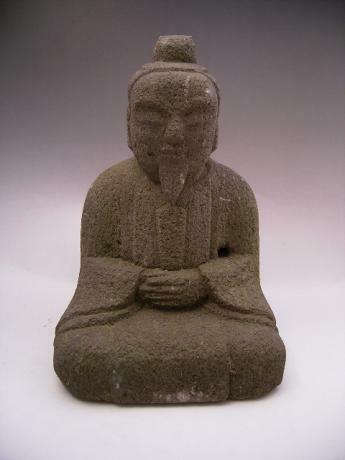 Description: Japanese circa 1900 stone statue. 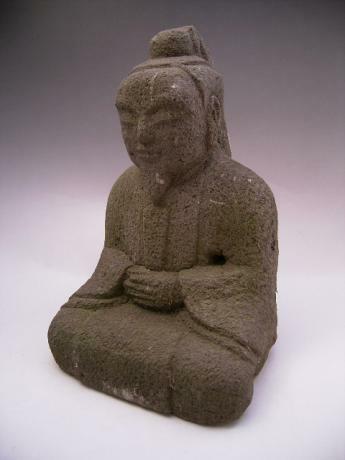 The statue is of TENJIN, the god of education. 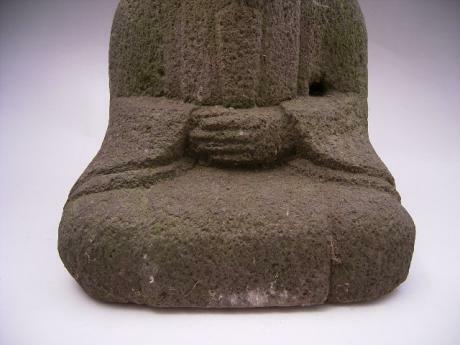 The statue measures 7 1/2" wide, 11 1/4" tall by 6 1/2" deep.